We are seeking caregivers who are warm, compassionate and love working with the elderly. You must be caring and patient. The hours are flexible and can be part-time or full-time. You do not need to be experienced or licensed. We supply the training. We cannot hire you if have a criminal record, a recent history of drug or alcohol abuse, or carry a communicable disease such as tuberculosis. 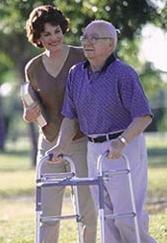 Prior to hiring caregivers, we require health certificates and we run thorough background checks.